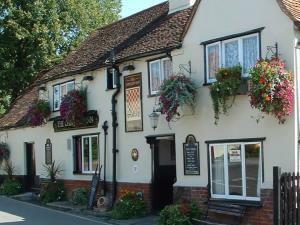 The Chequers Inn01621 788203work RestaurantThe Chequers is located in the charming village of Goldhanger on the River Blackwater in Essex. This 14th Century inn retains many of its original features in several rooms including open fires, timber beams, and sunny patio it is the ideal place to relax..
Award winning inn serving several real ales and wines and a reputation locally for good food this is one not to miss. The front bar can even accommodate your four legged friend as the Chequers is an ideal setting off point for a number of walks along the Blackwater Estuary and surrounding area. It is also popular with bird watchers who enjoy the tranquility and beautiful surroundings of the Blackwater to follow their passion.